Well, events have conspired against my writing the sequel to my calamitous northern adventure of 22 September, but i promise you’ll see it soon. Meanwhile, just to toss out a little entertainment, here’s another language moment, as told by a friend. He went into this club, see, and as he entered noticed a couple of attractive young women checking him out. Passing them, he overheard one whisper to the other, “9”. Enormously pleased over this high rating, he swaggered over to the bar and reported it to his friend. 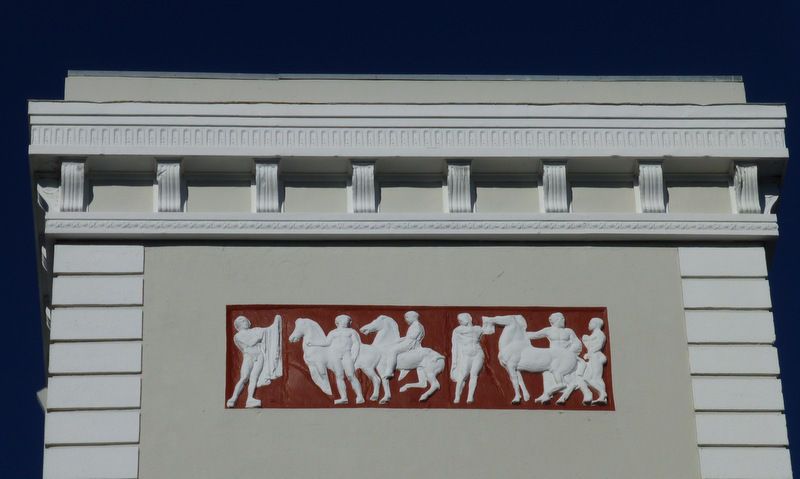 And so as not to leave that one writhing there, here’s some godlike bodies on San Francisco’s 10th Street.